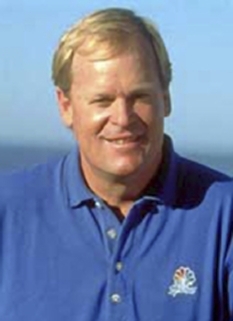 Golf great, Johnny Miller, was born on April 29, 1947 in San Francisco, California. Miller is a former pro golfer on the PGA Tour. 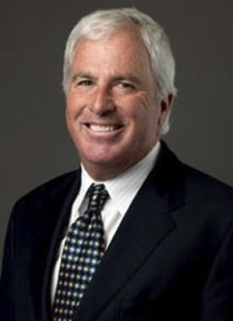 Miller was one of the top players in the world during the mid-1970s, ranked second in the world on Mark McCormack's world golf rankings in both 1974 and 1975 behind Jack Nicklaus, and is currently the lead golf analyst for NBC Sports, a position he has held since January 1990. He is also an active and successful golf course architect. Johnny Miller joined the PGA Tour in 1969 at age 22, and won his first tournament in 1971. He won two major titles: the 1973 U.S. Open and the 1976 British Open. Coming into the U.S. Open at the challenging par-71 Oakmont layout, Miller was a 26-year-old with just two tour victories in four years, but had done well in several majors. He tied for second at the 1971 Masters, and had top ten finishes at the U.S. Open in 1971 and 1972. Miller had yet to win in 1973, but by mid-June he had recorded eight top ten finishes, which included a tie for 6th at the Masters. Miller began the fourth and final round in twelfth place, six shots behind the four co-leaders, which included Palmer. Teeing off at 1:36 pm, about an hour ahead of the final group, Miller shot a scorching eight-under 63, in what is considered one of the most remarkable rounds in U.S. Open history. He passed the leading players of the day, future hall-of-famers Jack Nicklaus, Gary Player, Lee Trevino, and Palmer, who was in the final pairing with John Schlee. Miller birdied the first four holes and hit all 18 greens in regulation. He got five more birdies with only one bogey (a 3-putt on the 244 yard par-3 #8), and used only 29 putts during the round. Miller wound up at 5-under (279) for the championship, besting the runner-up Schlee by a single stroke, who shot a respectable 1-under 70. Only five players (Miller, Schlee, and three others) shot under-par in that final round, making his 63 even more remarkable. Miller earned $35,000 for the victory. Johnny Miller followed that triumph at Oakmont by finishing in a tie for second at the next major, The Open Championship at Royal Troon a month later, three strokes behind winner Tom Weiskopf. This was the first of five consecutive top ten finishes for Miller at The Open. In 1974 he was the leading money winner on the PGA Tour by some distance with 8 victories, amassing a then record $353,201 (not exceeded until 1978), unseating Nicklaus as money leader for a season. Miller began 1975 with 3 more victories before finishing second to Nicklaus at the Masters, and third at The Open Championship at Carnoustie, just a single stroke from playoffs in both. He won his second and final major in 1976, a six stroke victory over Nicklaus and a 19-year-old Seve Ballesteros at The Open Championship at Royal Birkdale. Miller shot a 66 in the final round to tie the course record and earned £7,500 for the victory, about $14,000. Following this win, Miller, never known as a great putter, somehow lost the form that made him a frequent winner in his early career and failed to win for the next 3 years. 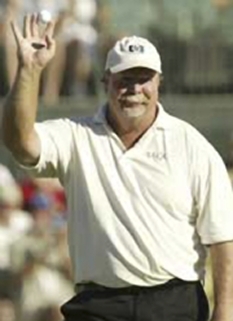 In 1981 he enjoyed one final spectacular season; his victory at the Million Dollar Challenge in Sun City, South Africa (following an epic 9-hole sudden death play-off with Ballesteros) that made him that year's leading world-wide money-winner in golf after two earlier wins in the U.S.
Miller finished his career with 25 PGA Tour wins and 105 Top 10 finishes. 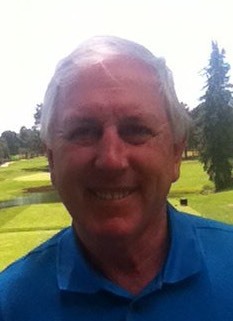 He played on two Ryder Cup teams, 1975 and 1981. 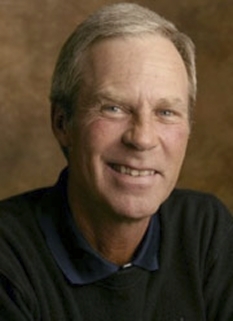 He was inducted into the World Golf Hall of Fame in 1998. 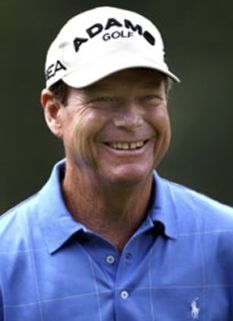 Although Miller became eligible for the Champions Tour in 1997, he decided not to play the senior tour on a regular basis, focusing on his role as lead golf analyst for NBC Sports' limited golf schedule and other business ventures. This was despite his victory in the 1994 Pebble Beach Pro-Am, at age 46, after he had semi-retired in 1990 to take up broadcasting. As a commentator Miller became known for his straightforward and sometimes blunt remarks, which sometimes earned him the enmity of the players being commented upon. One example came on June 16, 2008, when he referred to Rocco Mediate, during the broadcast of the U.S. Open's 18-hole playoff, as "looking like the guy who cleans Tiger Woods's pool". Mediate, who has battled many physical problems throughout his career, nevertheless played superbly, and took the heavily-favored Woods to a further sudden-death playoff before finally losing; he later laughed off the remark. 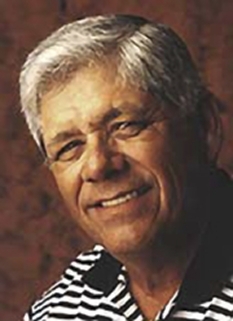 Miller has also written a column for Golf Digest magazine for several years, offering insight into various aspects of golf, often featuring the professional game. Johnny Miller also owns a golf design company and a golf academy and designed the Thanksgiving Point Golf Course in Lehi, Utah, host of the Champion's Challenge. He is a member of The Church of Jesus Christ of Latter-day Saints. Miller and his wife Linda have six children and live in Napa, California and Utah. DISCLAIMER: PFP Sports Talent Agency does not claim to represent itself as the exclusive agent for Johnny Miller. PFP Sports Talent Agency is a booking agency that represents organizations seeking to hire pro athletes and sports personalities such as Johnny Miller for speaking engagements, personal appearances, product endorsements and corporate entertainment. Fees on this website are estimates and are intended only as a guideline. Exact fees are determined by a number of factors, including the location of event, the talent’s schedule, requested duties and supply and demand. PFP Sports Talent Agency makes no guarantees to the accuracy of information found on this website and does not warrant that any information or representations contained on this website will be accurate or free from errors. We are often asked how can I find out who is Johnny Miller's agent? To find Johnny Miller appearance fees and booking agent details, you can contact the agent, representative or manager through PFP Sports Talent Agency for speaking fee costs and availability. PFP Sports Talent Agency can help your company choose the ideal sports personality for your next marketing campaign. To hire Johnny Miller for an appearance, speaking event or endorsement, contact Johnny Miller's booking agent for more information.